If you are a parent, the above quotes may feel uncomfortably familiar. Of all the difficulties today’s parents face, the shockingly disrespectful way in which their children often address them may be the most challenging. Children whom they love dearly disparage them in sarcastic or demeaning tones, or refuse to respond to simple directions. Parents may feel hurt and powerless, and if the behavior becomes a pattern, they might even grow resentful. Couples and family members who enter therapy to improve their relationships have usually endured long periods of harsh conflict. Couples might be caught in repetitive cycles of criticism and defensiveness; parents and teens might be trapped in power struggles; siblings may find themselves in escalating rivalries. 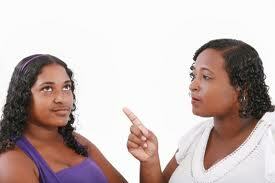 Anguished to stop destructive arguments, people usually begin therapy focused on containing their conflicts. Therapists can help clients to manage their conflicts by helping them engage in respectful communication focused on thoughts and feelings, and avoiding excessive blame, criticism, and stonewalling. With improved communication, power struggles can become more manageable, and conflicts can more easily resolve. Divorce is the legal ending of a unified, nuclear family, and managing the feelings that accompany this termination is challenging for all concerned. When children are involved, the time of a family’s separation is also a time of reorganization. The couple makes crucial decisions that impact the family’s future, including how to divide property, how to distribute and spend future income, and how often and under what circumstances each parent will have access to children. One household becomes two, each with their own norms and rituals, and the ex-spouses begin a “co-parenting” relationship that will serve as a bridge between the two homes.